Jenna: Hi there fellow makers! Did you know a creative product shot can be more than just showing your product? You can take advantage of the setting and background to stylize and enhance your product perfectly to fit your brand. For me, this means incorporating Spoonflower wallpaper as a photo backdrop to personalize my product photography. 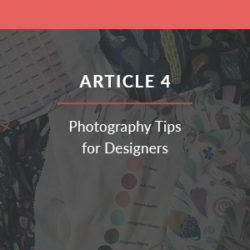 Don’t stress by the term “product photography” — this project is for anyone! Especially novices like me with no fancy equipment (I even use my iPhone). Not to mention, it’s affordable and perfect for anyone with a DIY spirit! 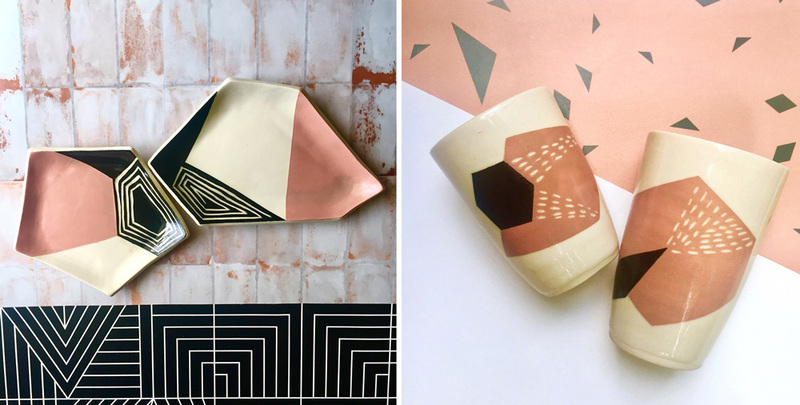 When I launched my business, Pink Moon Ceramics– a Raleigh, NC based pottery company, I quickly realized I wanted a personalized way to photograph my work aside from the basic white backdrops. 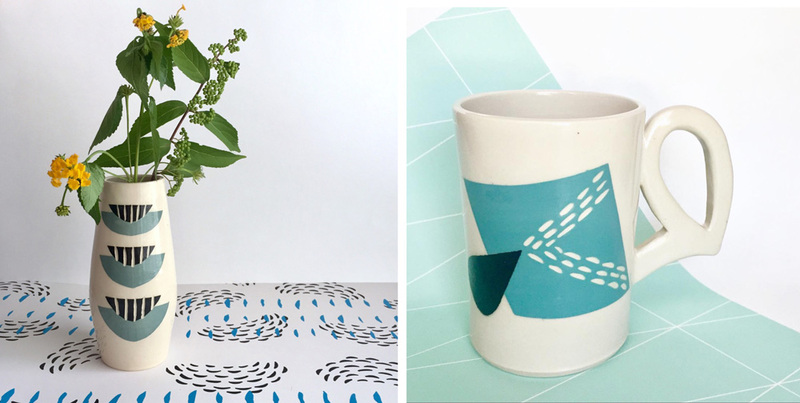 My pottery has many geometric patterns, some inspired by textile design, so I utilized the Spoonflower Marketplace and curated a collection with designs in my color palette with similar aesthetics to compliment my work. You can even upload your own designs! 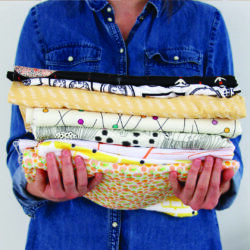 But with Spoonflower’s Marketplace full of designers from all over the world, you are sure to find a curated selection of patterns tailored to your work’s aesthetic! With a little help from the Spoonflower Marketplace, I’m able to find a variety of designs that match the aesthetic of my pottery business! Take a closer look at some of the designs I’m using this season. Pro tip: Wallpaper swatches work perfectly for my pottery and are only $5 for a Smooth wallpaper swatch! You can even purchase the wallpaper in larger custom lengths (1ft – 15ft) for larger product photos. 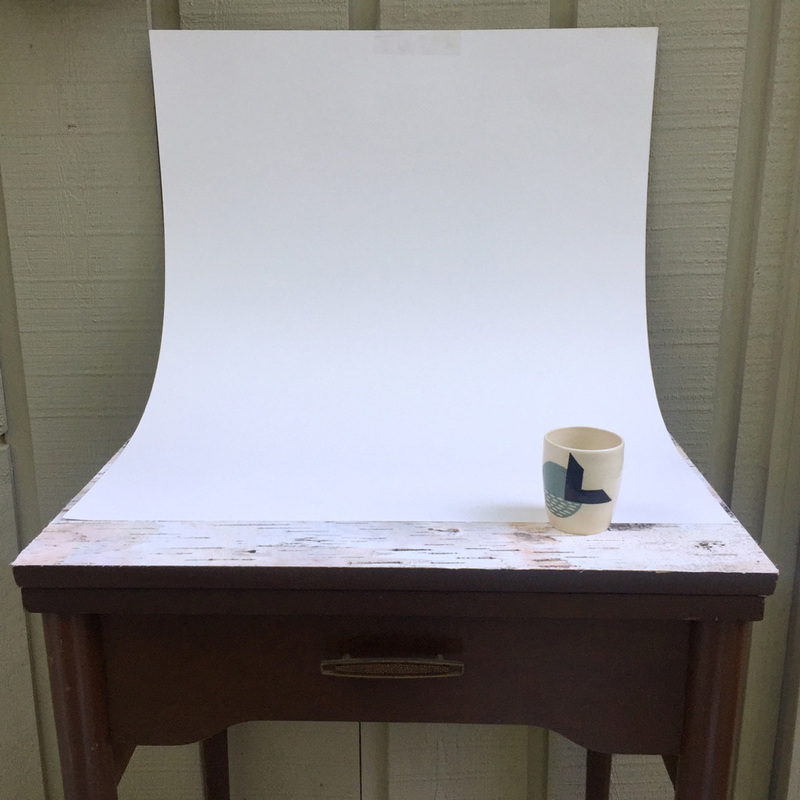 A table, white matboard and wallpaper swatch is all it takes to create a picture perfect set-up for your photos. Set up a table either outside or near a window to capture natural light. Natural light is my personal favorite for taking photos and the easiest, most budget-friendly. I prefer to take photos outdoors on an overcast day or early evening when there is soft lighting without any glare from the sun. Drape a large sheet of matboard across the table and choose a wallpaper swatch or two that compliment your work and drape diagonally, vertically, horizontally– any way you want! 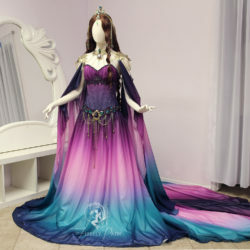 Enjoy layering multiple designs, draping at angles, or using the whole design— be creative! Frequently I like to compliment the angles of my work by draping the wallpaper to enhance my pottery designs. Feel free to experiment and have fun with it! You will find the right look that works for your product! 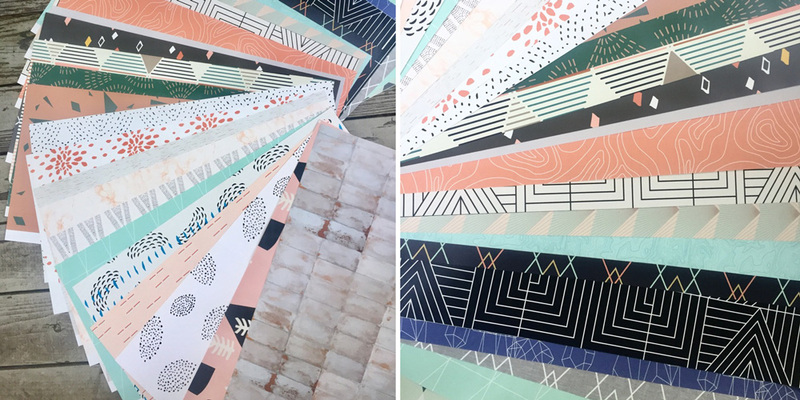 Curious to see how other makers are using our wallpaper for their projects? 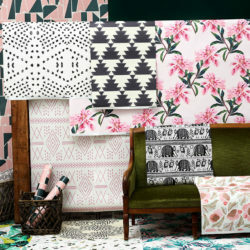 Don’t miss these 20 inspiring removable wallpaper projects! Jenna Leitner is the owner and creator of Pink Moon Ceramics— A Raleigh, NC based handmade ceramics company. 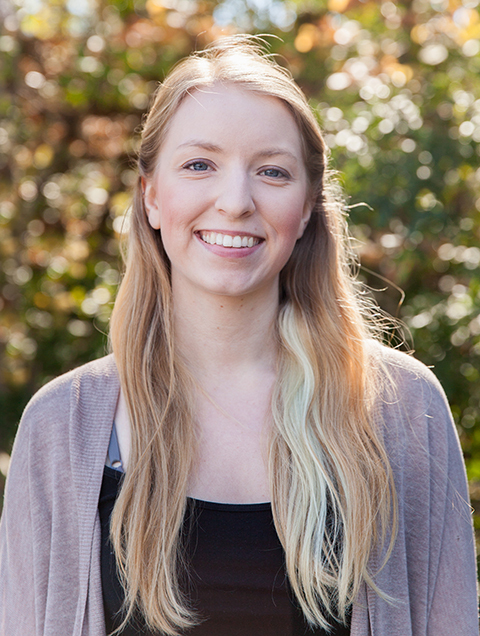 In addition to recently starting her own ceramics company, she is a proud member of Spoonflower’s operations team! Jenna says her favorite thing about Spoonflower is working in a creative environment with people inspiring and challenging her daily. Be the first to know what Jenna’s making next over on her Instagram feed. Thank you so much!! I thought I was way beyond hope for ever taking even a semi interesting picture :O I am going to try this! We know you can do it and would love to see your new product photography!